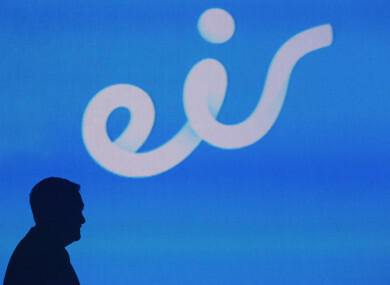 EIR HAS ANNOUNCED that 750 employees are set to go at the telecoms company. In a statement today, it said that the employees will leave as part of voluntary redundancies but that the job losses will not impact in the rural broadband rollout. “This has been launched in an effort to deliver costs savings and create a leaner, more agile organisation,” Eir said. The company said that unions and the Minister for Communications are being informed of the plans. It said that the staff members affected will be contacted with a “personal financial estimate for their consideration” but a large percentage of the company’s “field force is not eligible” for such a scheme. General Secretary of the Communications Workers’ Union Steve Fitzpatrick said, “We have been informed by Eir that the Company intends introducing a voluntary exit scheme seeking to reduce worker numbers by 750. We have no indication that this will be anything other than voluntary. We will engage with the company on the detail and, in particular, to ensure that proper arrangements are put in place to cover work once the scheme takes effect. Eir added that the announcement will not impact its recent commitments. Earlier this week, French billionaire Xavier Niel led a consortium that purchased a majority stake in Eir for €650 million. The company, which has a workforce of just over 3,000, has cut staff numbers in recent years. Email “Eir announces plans to cut 750 jobs”. Feedback on “Eir announces plans to cut 750 jobs”.